PRP for Hair Loss is a relatively new treatment that WellMedica offers to patients that are experiencing unwanted hair loss. Hair loss can be embarrassing and upsetting, and is much more common than many think. 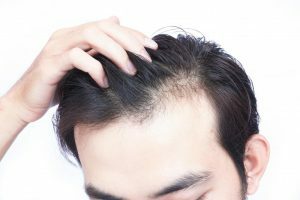 In fact, according to the American Hair Loss Association, by 35, two-thirds of men experience some degree of hair loss, and by the age of 50, about 85% of men have significantly thinner hair. Men are not the only ones that deal with hair loss as we are seeing more and more woman patients inquiring about hair loss treatment. Keep reading to learn more about PRP for hair loss. PRP for hair loss treatment uses the patients’ own blood to prevent hair loss. The plasma in our blood contains white blood cells and platelets, which are rich in growth factors. These growth factors signal the cells to function and encourage hair follicle growth. This same method can also be used as a facial to rejuvenate and stimulate collagen growth on the skin. Here at WellMedica we have seen amazing results with PRP for hair loss and restoration. Recent studies have been conducted demonstrating why PRP is the leading treatment for hair loss. In 2014, men in India with male pattern baldness had 30% more growth in thinning areas after a few PRP treatments. In 2017, another study was conducted in Italy where male patient’s hair density significantly increased in areas that PRP was used. In general male and females see a 30% to 40% increase in hair growth using PRP for hair loss. This depends on each patient and the condition their hair is in. Yet, typically PRP for hair loss takes about 3 months to see an improvement. The amount of treatments needed for PRP for hair loss treatments depends on your initial needs. Many of the patients that we see are great candidates for PRP for hair loss. PRP therapy does work better for patients with recent hair loss, than those have been dormant for a long time. It also can depend on a series of different medical factors that may be affecting hair loss. We recommend scheduling a consultation at WellMedica in order to get a customized treatment plan based on your individual needs. The actual procedure is pretty quick taking around 20 minutes to collect the PRP and inject. 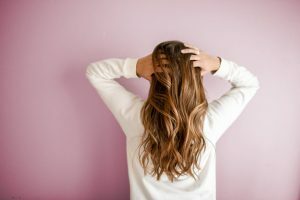 The procedure has very little reported discomfort as most describe it as “minimal.” There is no downtime we just suggest to avoid using any harsh dyes or chemicals on your hair for 48 hours. One can have this procedure scheduled without disrupting any other aspect of their life.